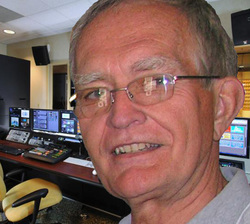 Bob Skidmore's career includes a ten year stint with RKO General Broadcasting in New York City, 34 years as President of Media Concepts, Inc., St. Petersburg, FL, and investigative reporting on "auto safety" topics for WOR's Barry Farber Show in New York City. During his career he has served as an instructor on various topics and subjects. He is also a journalist who writes for various publications including his own blog. Bob serves as Manager and Instructor for Safety Max Training, LLC. Marvin Brown founded Safety Max Training. He was a well known industry pioneer. His career spanned over many years of experience in all facits of the truck and lift industry. During his career he had the pleasure of training and authorizing hundreds of operators in lift safety training. Unfortunately, Marvin past away in January of 2011. The industry has lost a great asset. He will be sorely missed, but not forgotten!